NSW Health Aboriginal Nursing & Midwifery Strategy project officer Skye Parsons with NSW Health Nursing & Midwifery Office senior advisor Leona McGrath. Aboriginal nursing students across NSW have the opportunity to make a difference in the criminal justice system, while expanding their career options through a NSW Health cadetship program, which is open for applications. 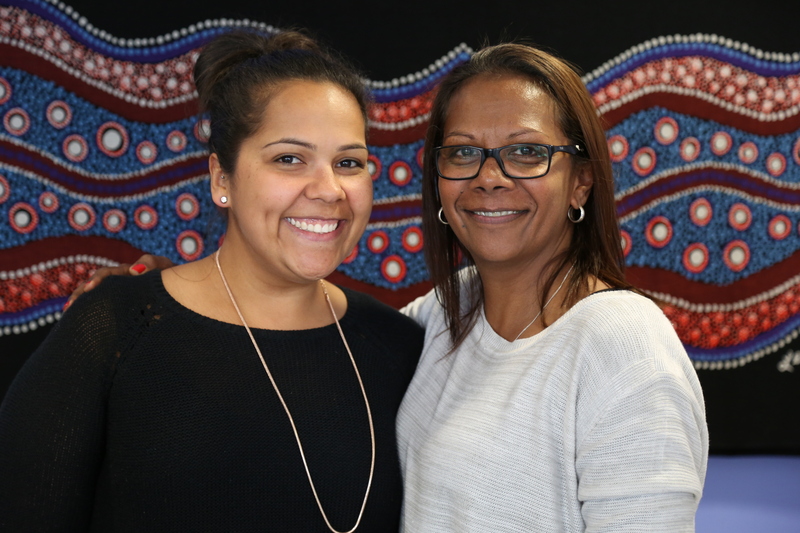 The Aboriginal Justice and Forensic Mental Health Network Cadetship Program provides Aboriginal nursing students with cultural mentoring, financial support and a paid placement in one of the state’s correctional centres in Sydney, Mid North Coast, South Coast and Central Coast. Students who successfully complete their studies and cadetship are offered ongoing employment opportunities in the justice health system. As a nursing student, Skye Parsons, project officer for NSW Health’s Aboriginal Nursing and Midwifery Strategy, undertook a placement on a ward at Long Bay prison, propelling her nursing and midwifery career. An 18-year-old at the time, Skye said the experience “was a big eye opener” but given the opportunity to do it again, she would snap it up. “It was very challenging, but also very rewarding,” Skye said. “One of the really tough things for me was seeing the number of Aboriginal men incarcerated and the mental health issues they struggled with as a result of their trauma. “It gave me insight into the human face and reality of incarceration to see these men, who are there for so many different reasons, and hear their background stories, which were so sad. “They gravitated towards me because I’m Aboriginal – and they opened up and felt comfortable. I believe that during the time that I was there I made a difference to the prisoners’ lives. When Skye told her father she had volunteered for a placement at the Long Bay correctional centre, he was very concerned she would be in danger, being so young and required to work with male prisoners. “But I always felt safe,” Skye said. Ongoing employment on successful completion of the program and studies. Skye went on to work as a paediatric nurse in London, and after returning to Sydney, studied midwifery and worked as a midwife at the Royal Prince Alfred Hospital. She now works as a NSW Health project officer for the NSW Aboriginal Nursing and Midwifery Strategy, recruiting nursing and midwifery students into the cadetship program. “Having Aboriginal health professionals is essential to closing the gap in health outcomes between Aboriginal and non-Aboriginal people, as it makes Aboriginal people feel comfortable about seeking medical help – so it leads to a healthier population,” Skye said. Applications for the cadetship program are open until 4 June 2017. For information about the program and how to apply, click here, call 1800 155 325 or email aboriginalnursing@doh.health.nsw.gov.au.